The very nature of powder is that coats and mattifies our faces. If you’re oily, this can be great, but oil production slows as we age. 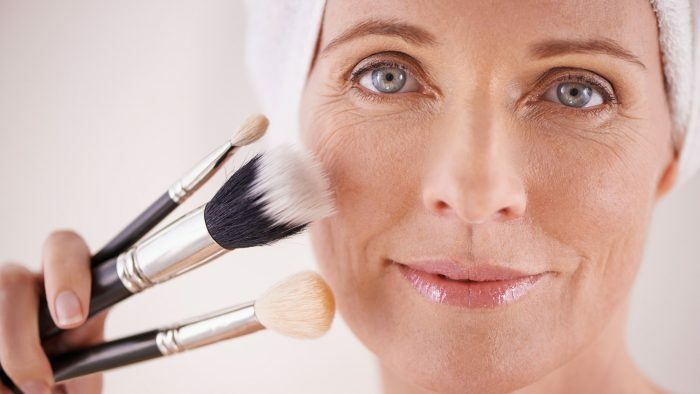 As we get older, powder starts looking dry, ashy, and dusty on our skin, which visually ages us. What we really want is a youthful glow. Instead of powder, use a setting spray to keep makeup in place. Add an extra layer of moisturizer to dry or dehydrated areas before applying any makeup. Many finer lines can be reduced or eliminated with extra hydration. Additionally, use liquid foundation with light-reflecting particles, and cream blushes and bronzers. Save the Powder for your lashes! You’re going to ditch the powder that’s been aging your skin. But you also want thicker lashes, so don’t throw it away just yet. You can use a loose powder to coat and prime your lashes before applying mascara. Only have pressed powder? It’s easy to loosen up with a clean mascara wand. Use the wand to dust the powder onto your lashes. Apply two coats of mascara, wiggling the wand in at the root. From there, sweep up and inward toward your nose. Use a clean brush to sweep away any excess powder that fell out of bounds. Use concealer to contour your lips. Every area of your face has different needs. Dirt tends to clog pores at the sides of the nose and in the cleft of the chin. Cheeks easily get irritated from dryness or sun exposure. Foreheads can be rather oily for some, and dry enough to accentuate lines for others. This is why applying different masks to different areas of the face is very effective. Clogged pores can unplug with clay masks, chamomile and gel masks can calm the cheeks. Balance can be restored to skin on the forehead with charcoal or rose essence. Don’t forget hydrogel patches for underneath eyes! Choose a foundation with yellow undertones. 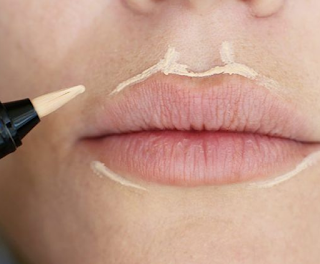 Many makeup articles and tutorials place a lot of importance on foundation undertone. There are various techniques out there to help you determine what’s best. Some of these include eye color and your preference for silver or gold jewelry. Like other things in life, foundation selection gets easier with age. Instead of wondering if you’re pink or neutral, default to a slightly yellow undertone. It’s not a universal tip, but many women look best with a warmer shade as they mature. The hint of gold adds a bit of warmth that is more commonly associated with youth. Same goes for hair – golden blonde may begin to look more appealing than ashy tones.